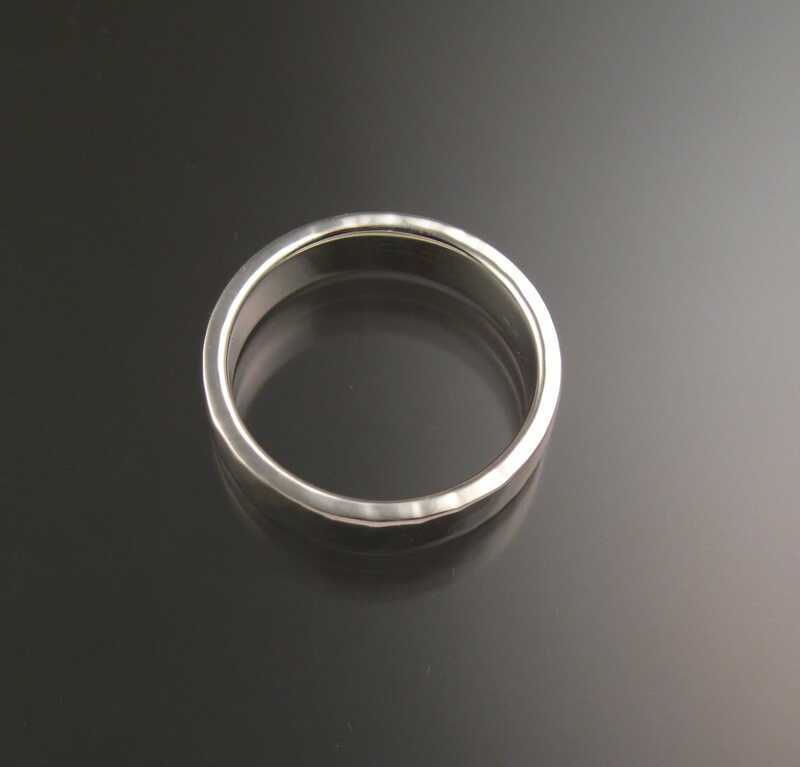 This ring is formed from 2mm thick by 6mm wide rectangular Sterling Silver. It is a good, sturdy, comfortable band intended for everyday wear. 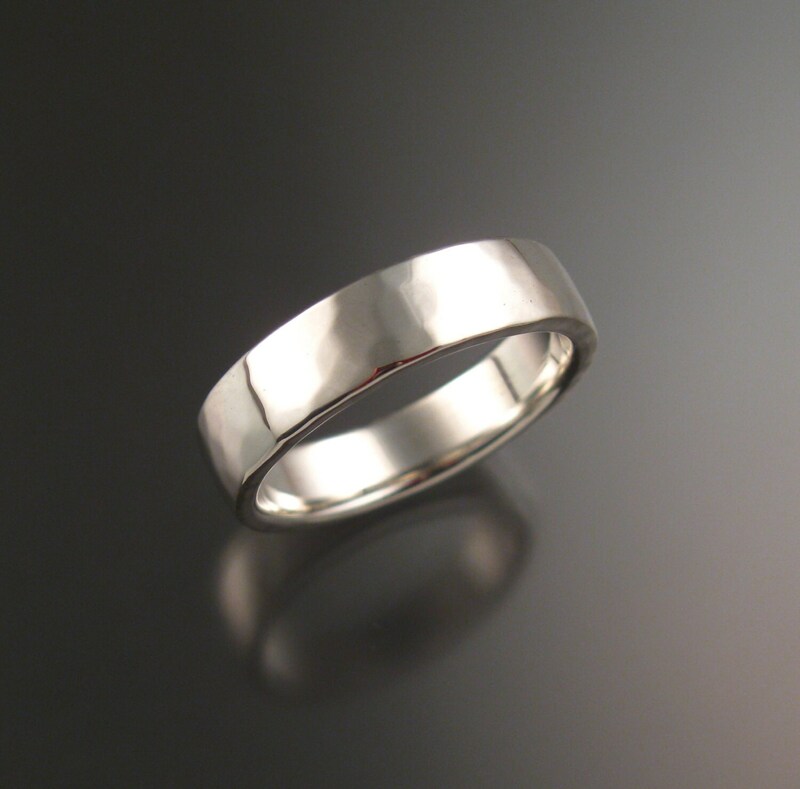 Lightly hammered and polished to a bright smooth finish. 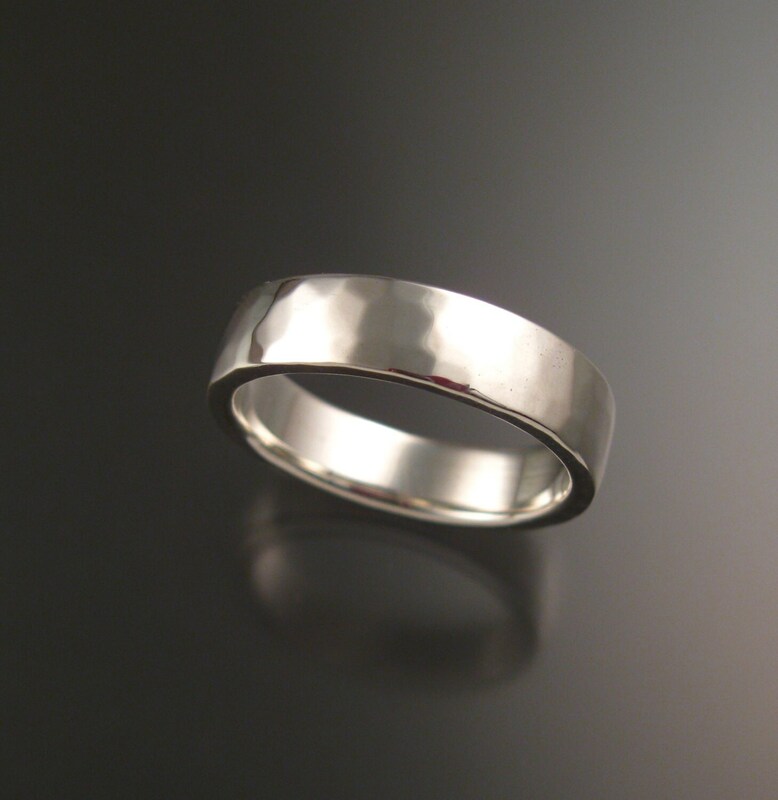 I can make this ring in any size between 5 and 12. There is an extra charge for sizes over 12. Perfect, my fiancee thinks it is great. Very pleased with this piece. 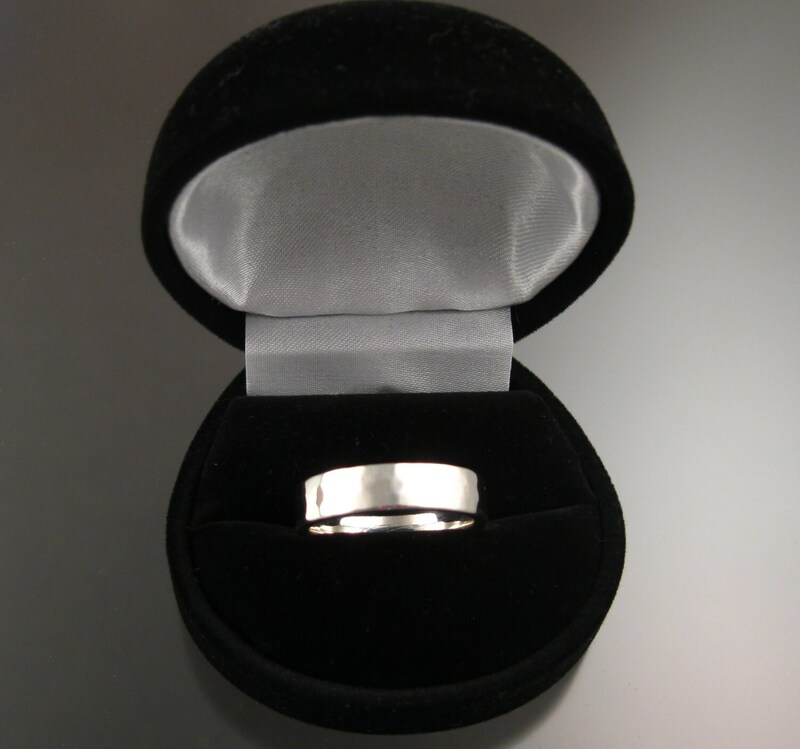 Nicely made, perfect fit and fast shipping. 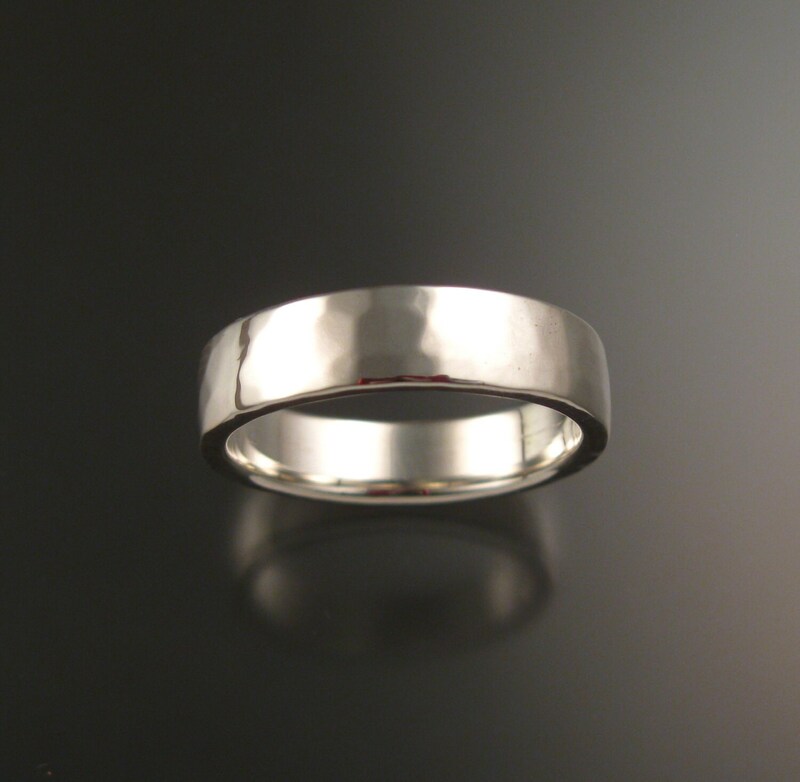 Wonderful shape and style of band, my partner really likes it a lot and he's not really even into wearing a lot of jewelry on his own body :) thank you for creating this for us, we will cherish our wedding bands for years as a symbol of our love to come. Much love and gratitude to you.